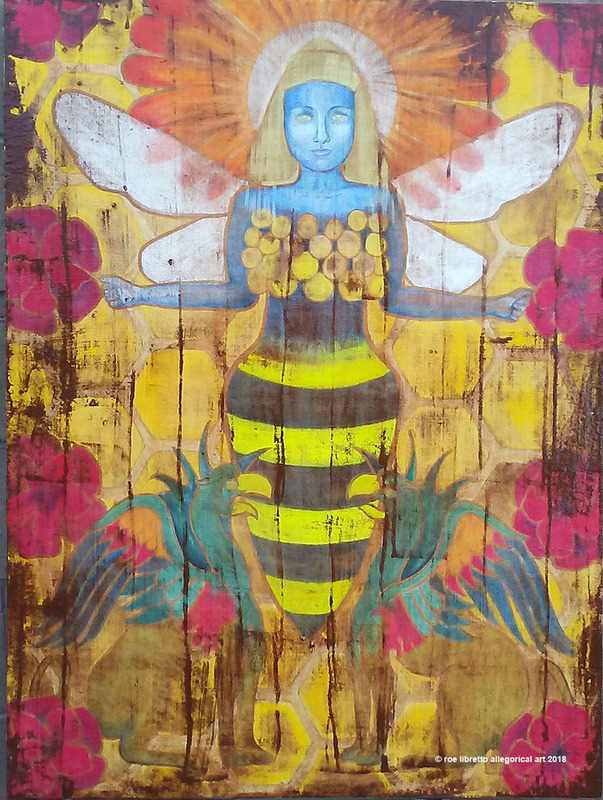 This 30" x 40" watercolor on wood panel was created for the Bees and Bad Poetry event at Ghostwolf Gallery. The event is August 18 from 1 to 4 pm. Archival quality giclées are available upon request through my SHOP page. Wonder about the iconography of my work? Here’s a peek inside this mythological mash-up.